Giant swede mashes world record! Giant veg growers smashed two world records at the National Giant Vegetables Championship. 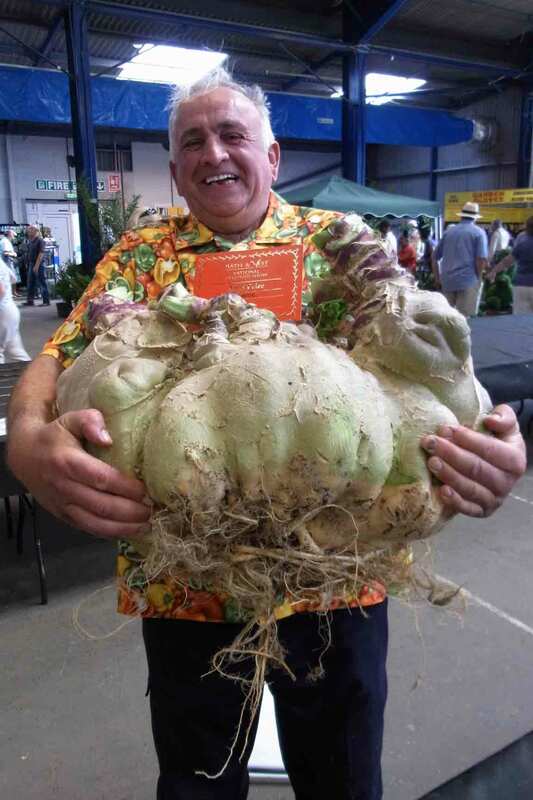 New records were set for the largest swede and heaviest potato at the contest, which took place at the National Gardening Show at Shepton Mallet in Somerset, on 2 to 4 September. Ian Neale from Newport, South Wales took the record for the largest swede with a giant specimen weighing 38.92kg (85.8lb). Ian imported the seeds from Alaska and used a polythene tunnel for protection to produce his winner in just 26 weeks from seed sowing to weigh-in. He grew 10 plants and entered the largest in the show. The second record-breaker was Peter Glazebrook, from Nottinghamshire, with a giant ‘Condor’ potato (pictured, inset) which tipped the scales at 4.98kg (10.98lb). The National Gardening Show was formerly known as the National Amateur Gardening Show. But is now run independently by the Bath and West Showground.